The PMDX-125 has been replaced by the PMDX-126. The PMDX-126 is an upgrade of, and a direct replacement functionally and mechanically for the PMDX-125. Click here to see the PMDX-126. 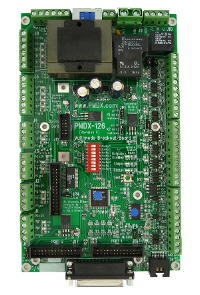 PMDX-125 board pictured as delivered. PMDX-125 pictured with PMDX-107, SmoothStepper, and cables. 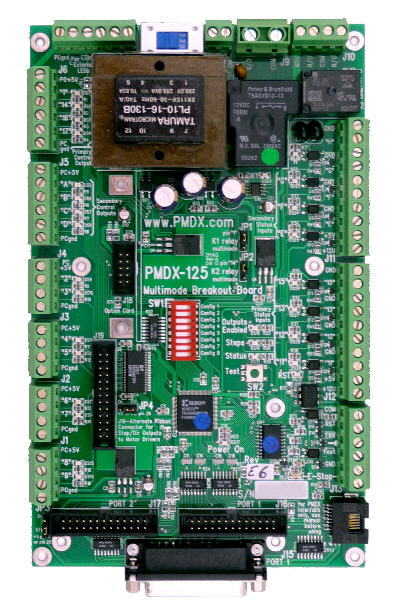 The PMDX-125 is a motion control breakout board for interfacing with the parallel port of an IBM-PC style computer or to the Smooth-Stepper. PMDX now offers Gecko G203V, and G320X motor drivers at a discount. For more info see HERE. Connects to host using a single DB-25 Female parallel port connector when using port sharing modes. Additional 26 pin ribbon headers support use of a second parallel port or direct connection to a SmoothStepper. 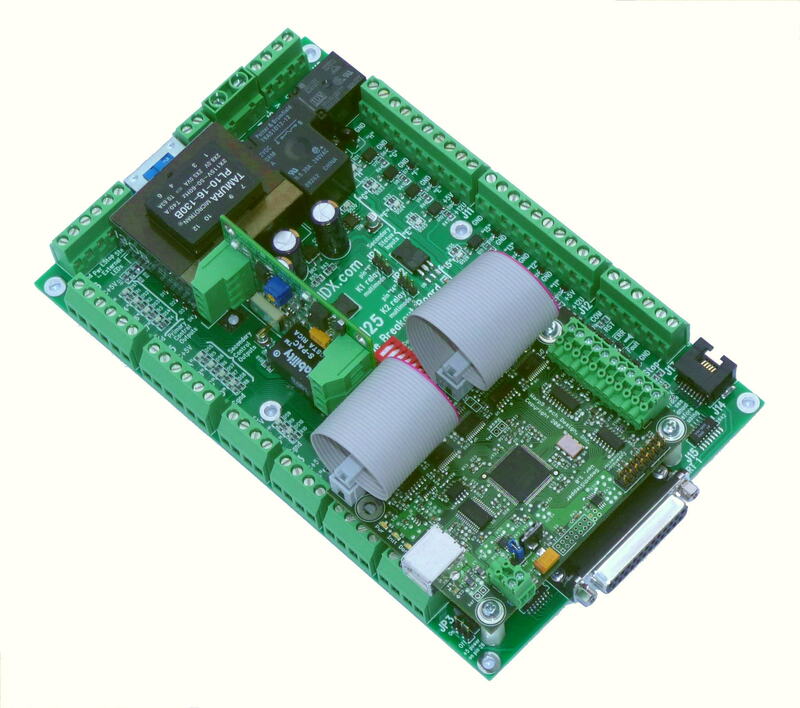 The second SmoothStepper port supports 4 input and 4 output signals. 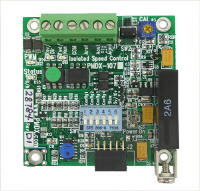 The remaining 8 data bits of the second SmoothStepper port can be supported as input or output by adding a PMDX-108-Input or PMDX-108-Output board. (revision 1.2, 26 Feb 2010, 314 KB). NOTE: This manual is for board revision "D5" and later (i.e. higher letters/numbers). Click here for application notes on using the PMDX-125. 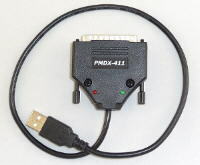 Download the Mach3 Plug-In driver for the PMDX-125 here.